Nikolaj Bloch is an enigmatic, multifaceted songwriter and performer, classically trained pianist and multi-instrumentalist. 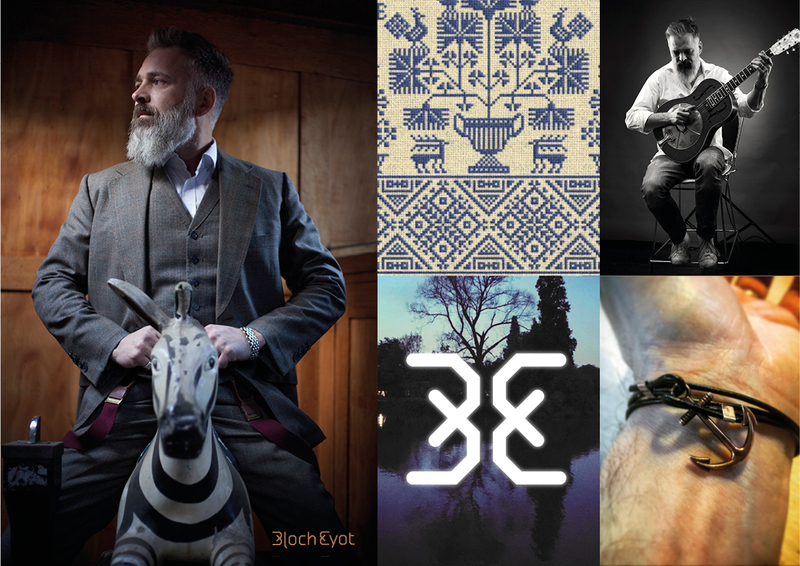 He approached Simon Inc to help to create a logo for his latest musical incarnation: Bloch Eyot, ready for the launch of his debut album Magic Folkgrass. Nikolaj is of Danish heritage but lives and records in London – on a boat on the Thames moored just a few hundred yards downstream from Simon Inc’s floating studio. 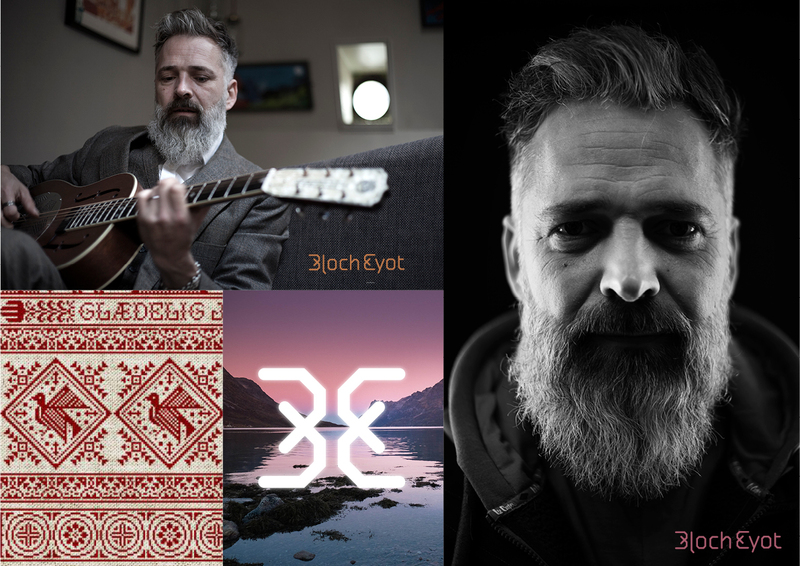 His music defies categorisation, and has drawn comparisons to everything from Cat Stevens, Johnny Cash, Elliot Smith, Tom Waits and Leonard Cohen to Scandinavian folklore and fairy-tales. We wanted to capture some of the ethereal quality of his voice and unique sound and reflect the pathos that exists in the music, and also acknowledge Nikolaj’s Scandinavian roots. So we looked to Scandinavian folk designs for inspiration and found visual reference for traditional embroidery and textiles which use a sort of cross stitch motif. Taking that as the basis for a stylistic direction we created a symmetrical, angular monogram for Bloch Eyot and an accompanying customised logotype. The resulting graphic identity reflects his heritage and folk roots but also hints at the modernity and wide-ranging musical diversity of the debut album.